Located midway between Baltimore and Washington, D.C. in the Arundel Mills Mall, the newly built $500 million Maryland Live! 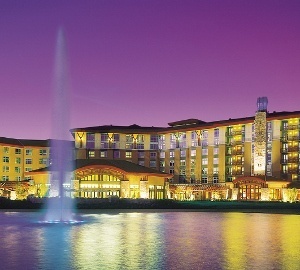 Casino is one of the largest commercial casinos in the country. Open 24 hours a day, 7 days a week, 365 days a year, it includes more than 160,000 square feet of gaming floor with over 4300 slot machines, 122 live action table games, two high limit rooms, and a 59 table poker room. A bus lounge and a secure, covered, multi-level, 4500-space speed ramp parking garage offer direct access to the casino floor. Six restaurants, a state-of-the-art performance venue and other first class amenities complement the existing retail, dining, entertainment and hotel options in the area. A fast tracked project once gaming regulations were passed, Maryland Live! began the process of working with contractors early on to ensure their facility opened within their desired schedule. Maryland Lottery requires the Casino’s slot machines and electronic table games to be monitored 24 hours a day, seven days a week, by cameras recording 4CIF, 30 frames per second (fps) 1080p video. To meet this directive, planning and implementation was extremely complex as the system had to meet the additional operational needs of car and people counting – and be scalable due to anticipated property growth. Integration of third party software and hardware solutions was required to tie the surveillance system to both the vehicle counting system and the parking garage display sign system and also to the advanced POS and access control systems. Finally, because of the construction schedule, the installation, final programming and any system adjustments had to be conducted over a very short time frame in order to meet deadlines that would allow the Casino to open as planned. 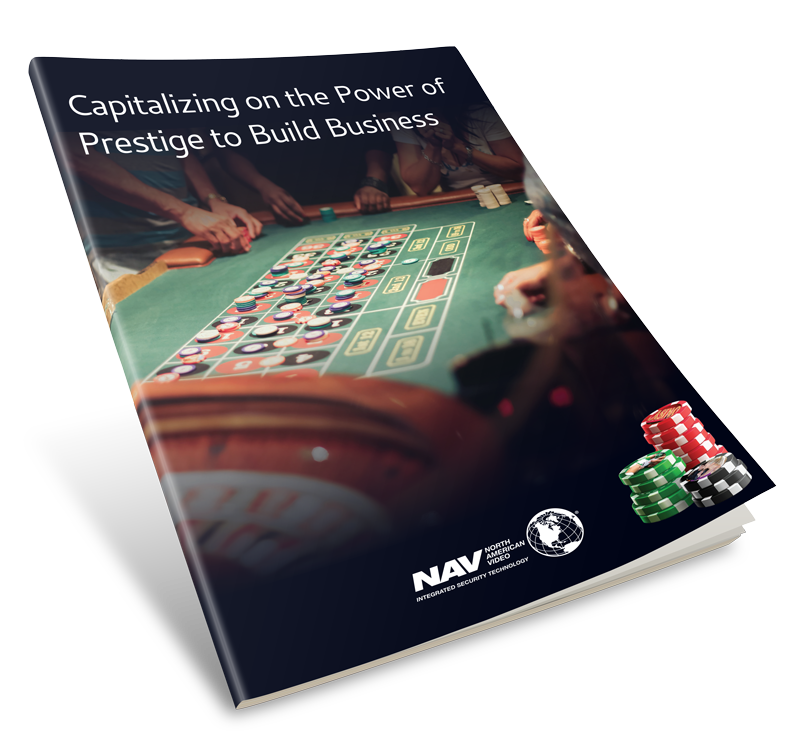 Relying on their extensive and unparalleled experience in the gaming market, North American Video (NAV) equipped the Casino with an advanced video, access and POS solution which included over 1200 IP cameras, VMS, digital recording and analytics logic engine for people and car counting. 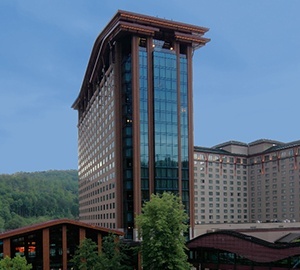 Inherent in the project was the scheduling, coordinating and managing of the process to comply with the Casino’s needs, Maryland gaming regulations regarding video surveillance of the tables and slot machines, general contractor requirements, and time frames as well as various contract provisions. The all-IP system comprises Synetics’ digital recording system, their Synergy video management system and iSynx people counting analytics; Pelco high resolution megapixel cameras; Synectics POS software; Software House C-Cure access control, and a robust Cisco network. 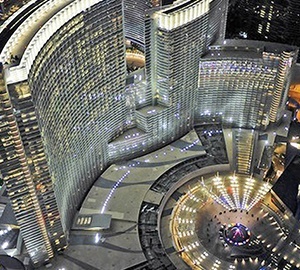 NAV pioneered integration of the video surveillance system with the vehicle/people counting software and the sign company hardware to achieve a solution that enables Casino management to accurately determine traffic patterns and ascertain if visitors to the site were going into the Casino or to the retail center. The multifaceted system was engineered by NAV to be very user friendly, employing convenient features such as touch screen controls, color-coded interfaces and pop-up images for access authentication. The IP system was also designed to simplify ongoing maintenance, streamline troubleshooting and make future camera expansion easier.